A document called “Guidelines for Submitting a Design” is now available at www.SandyHookPermanentMemorial.com. Phase I design submissions will be accepted until Dec. 15, 2017. Once accepted, the Memorial Commission and an advisory panel will review designs and create a short list to move forward into Phase II. After a lengthy search for a site, the Town of Newtown was fortunate to receive a donation of land, by the Board of Trustees of the Boys Social & Athletic Club (SAC) of Sandy Hook, for the memorial. The site is a 5.3-acre property in the community of Sandy Hook, which contains two open areas (former playing fields), two ponds, and woodlands. It is situated in a semi-rural area close to Sandy Hook Center. Individuals interested in submitting a design will be allowed access to the memorial via scheduled site walks and by appointment only. The Sandy Hook Permanent Memorial Commission welcomes you to the design process to assist in the creation of a permanent memorial that honors and remembers the 26 lives lost at Sandy Hook Elementary School on December 14, 2012. With your submission, we hope that you will be purposeful with your thoughts, keeping in mind the reason your design is being sought, and are sensitive to the many individuals and families who have been impacted by this horrific day. Our Commission has continued to rely on our mission statement to assist in making decisions as work has progressed, and are hopeful you will take those words to heart in the completion of your design. While we have outlined a detailed document as a base for your work, we trust this won’t limit the creativity of your submission. After a lengthy search for a site, we received a generous donation of land in the heart of Sandy Hook from the trustees of the Boys Social and Athletic Club (SAC). This 5.3-acre parcel holds much potential for a meaningful memorial, and we are truly grateful for the contribution. Thank you to the members of the Sandy Hook Permanent Memorial Commission, past and present, and to others in our community who have played a role in navigating this process. We deeply appreciate the efforts of all who wish to participate and are confident that the result of your work will offer a sense of peace to those in our community and beyond. With your help, we’re committed to ensuring that those lost are honored with lasting meaning. 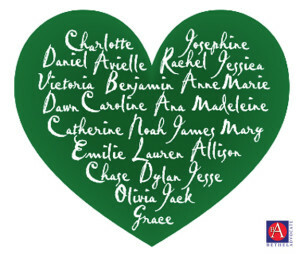 The mission of the Permanent Memorial Commission is to make a recommendation to the Board of Selectman for a Permanent Memorial that remembers, honors and celebrates those 26 who died as a result of the Sandy Hook Elementary School shooting and serves to provide comfort to those who loved and were touched by them. Our Commission was appointed and assembled in September of 2013 by the Newtown Board of Selectmen, in an effort to gather information and make a recommendation for a permanent memorial in our community. A document called “Guidelines for Submitting a Design” will be available at www.SandyHookPermanentMemorial.com as of Sept. 22, 2017. Phase I design submissions will be accepted until Dec. 15, 2017. Once accepted, the Memorial Commission and an advisory panel will review designs and create a short list to move forward into Phase II.